NOTE: This post is intended as a prelude to Nimble NPS in 4 Steps, and provides more context on how Net Promoter Score is calculated. 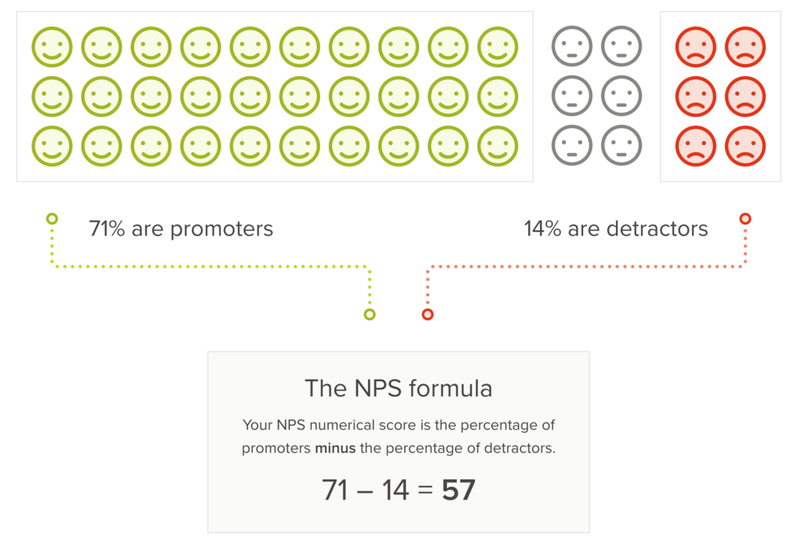 If you already know how to calculate NPS, skip ahead. This follow-up question is critical for gathering customer feedback and insight. These kinds of NPS dashboards can help product marketers and managers understand the potential impact of different initiatives on customer loyalty, as well as when in the customer lifecycle an excellent NPS score finally emerges (since your product might not generate a great NPS on day 1 of usage, and it might take users weeks or months to fall in love with your product). Perhaps the fastest way to implement an NPS workflow is to use a fully-featured NPS platform like Delighted, Wootric, or Promoter.io. But teams already invested in messaging tools like Intercom and Mailchimp often want to experiment with NPS before migrating to those fancy paid platforms—which get costly when sending large volumes of surveys or attempting to sync survey data with other tools in the marketing stack. To learn how to implement this flow, please check out the second part of this post—Nimble NPS in 4 Steps.